Home » General » Fancy motorcycling the Ho Chi Minh Trail? Here’s how…. If you’re a fan of adventure motorcycling then there can be few rides in the world that beat the beauty, variety and interest of a trip down Indochina’s Ho Chi Minh Trail. Here are a few tips to help you on your merry way. 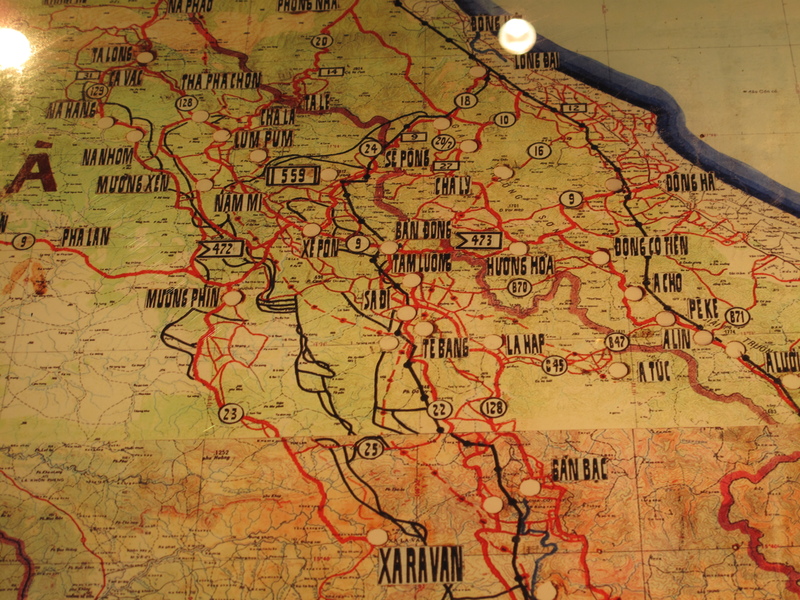 The Ho Chi Minh Trail wasn’t a single entity: rather it was an ever-mutating skein of roads, tracks, footpaths, bicycle tracks, elephant paths and waterways spreading from Hanoi to Saigon, through the eastern flanks of Laos and Cambodia. Built between 1959 and 1975, at its peak it measured a staggering 12,000 miles but today much of the Trail has vanished under tarmac, mines and development, or simply been reclaimed by the dense jungle it was hewn through. Yet for those who wish to find it, much of the Trail does remain – some of it as tarmac highways, some as rutted jungle tracks still littered with UXO, rusted tanks and gaping bomb craters. In the last fifteen years a brand new highway, The Ho Chi Minh Highway, has been built over old Trail routes between Hanoi and Saigon. Since you can ride the 1000 miles without ever leaving tarmac or Vietnam this is the ideal option for those short on time or riding experience. 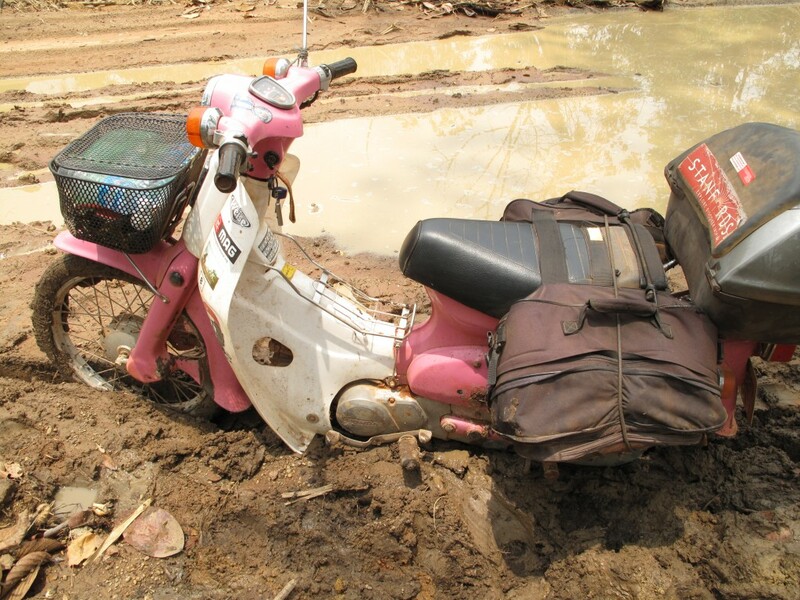 If you want a tougher trip then follow one of the old Trail routes over the Truong Son mountains into Laos. For the Full Monty, add Cambodia to your route. Don’t even think about exploring the Trail in Laos without using www.laosgpsmap.com. For Cambodia and Vietnam you can get away with using a regular map or a local data SIM in your smartphone. ‘Riding the Trail’ has become big business in Vietnam and there are numerous tour companies who can provide both bikes and guides. If you want to go as part of a group look no further than the excellent Hanoi-based Explore Indochina. If you want to just hire a bike and go it alone then contact Cuong at Cuong’s Motorbike Adventure in Hanoi. In Laos Jim at Remote Asia in Vientiane does both bike hire and guided rides. The choice of whether to take a guide, go in a group or go alone is a very personal one. It depends on your level of bike experience and what sort of adventure you want. Is this the first time you’ve wrapped your thighs around a throbbing 125-cc engine or could you ride the Paris-Dakar Rally blindfold? If you’re a complete novice it’s probably not the best idea to hire a 400-cc Honda dirt bike and go it alone dressed in shorts and a string vest. Likewise, if you’ve got a garage full of KTMs at home you’re not going to be content dawdling along on a Honda Cub. Work out your vague route, see how much tarmac or dirt is involved and then talk to your bike provider to see which motorcycle best suits your needs. Since I’m useless at mechanics and was travelling alone through extremely remote regions I wanted a steed that was idiot proof, indestructible and easy to fix, hence the Honda Cub suited me perfectly. As it turned out, 25-year old Cubs are rather less indestructible when faced with the mud and mountains of south-eastern Laos. During the Vietnam War, Dong Sy Nguyen, the North Vietnamese commander of the Trail, wrote: ‘We have two opponents. One, the enemy: two, the harsh weather conditions.’ Between April and October the monsoon created havoc, destroying bridges and burying miles of roads under landslides. The same applies today so if you can avoid it, make sure you go in the more clement months of October to April. There’s not a lot of room on a motorcycle so plan what you’re going to stuff into those panniers carefully. Are you going to navigate with maps, the stars, a smartphone and local data SIM cards, an Android tablet loaded with Oryx maps or a small handheld GPS? If you’re alone, what about things like a medical kit, simple tool kit and spare parts for the bike? What motorcycle gear are you going to wear and where are you going to buy/hire it from? What sort of panniers will you use and will you hire or buy them? As I was travelling alone on a very small bike my choice of kit was vital and I thought hard about every single item I took; down to dry bags, solar chargers, a spare throttle cable and emergency food supplies. 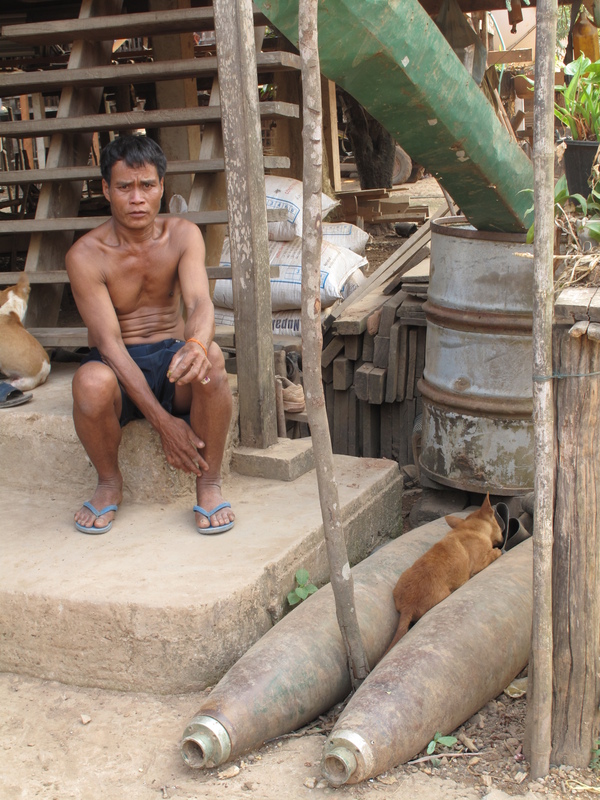 To find out more about this problem see Mines Advisory Group’s website, or visit one of their centres in Laos or Vietnam. Want to find out more? 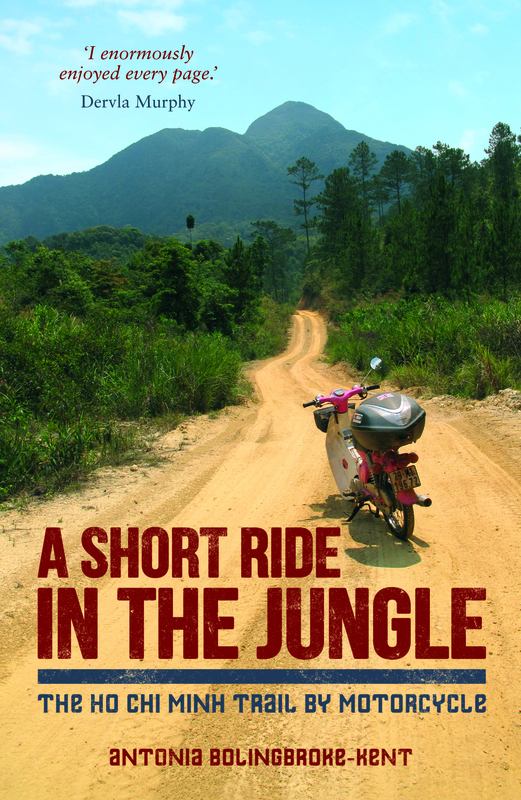 Pop over to Amazon and buy a copy of my book, A Short Ride in the Jungle: the Ho Chi Minh Trail by Motorcycle. To see what Ted Simon, Dervla Murphy and more have said about it, read a few of the reviews here. Next PostThe 2015 National Adventure Awards – vote for me!